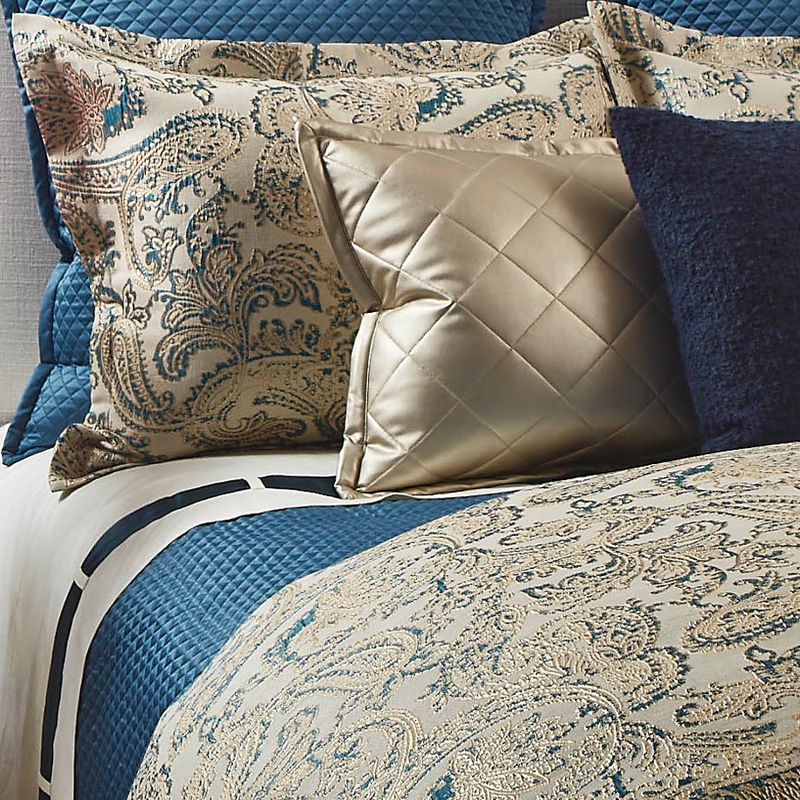 The rich blend of greys within the Teal Arabesque jacquard paisley pattern provide depth and shimmer to your bedroom. 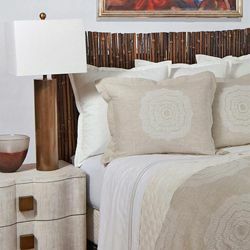 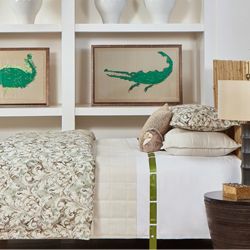 The photo above shows the Arabesque Teal Duvet Set paired with the Teal Single Diamond Coverlet Set. 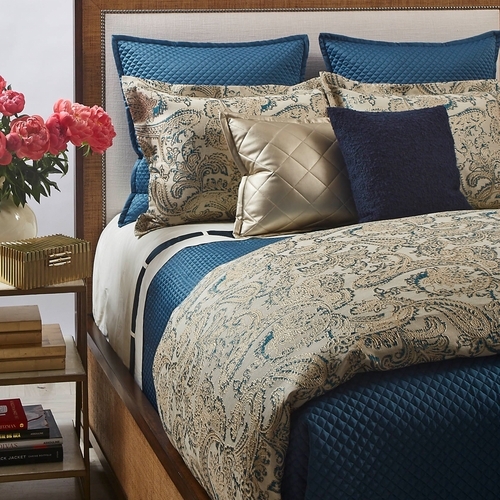 The Arabesque Duvet Set in Teal is available as a 3 piece King or Queen size set.